Holiday Windmill in Aylsham, Norfolk. Staying in a converted Norfolk Windmill sounds great – but where is Aylsham? There are so many places of interest in Norfolk: From the far west at Hunstsanton – the only West facing beach in the East! 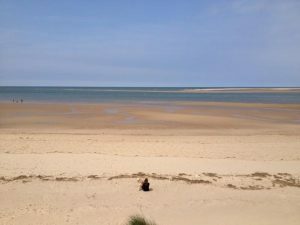 The glorious beaches at Brancaster and Holkham; most of us would recognise the iconic beach huts and woodland at Wells-next-the-Sea, and the seal colony at Blakeney point. Further East we come to Sheringham and Cromer, traditional seaside towns where rock-pooling and Cromer crabs come to mind, and the only End of the Pier show in Europe. We might think of wildlife reserves and salt marshes; the red and white lighthouse at Happisburgh; the rocky reefs at Sea Palling; sand dunes and seals at Winterton; there’s the traditional seaside pleasures of Yarmouth with its distinct maritime history. 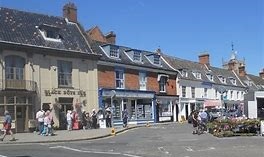 Aylsham is a very old market town situated not quite in the middle of Norfolk. It is a little north and a bit nearer the coast than the centre of the County. 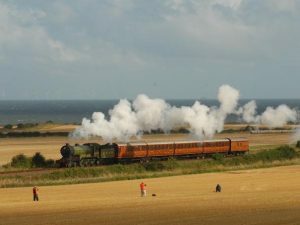 It is quite close to the North Norfolk coast. 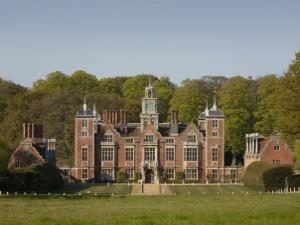 It’s quite close to Norwich (10 miles), it’s quite close to the Norfolk Broads (Wroxham 10 miles), and the coast at Cromer or Overstrand (about 10 miles). 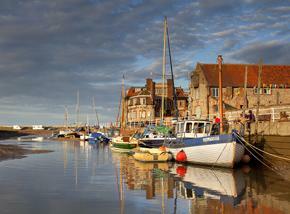 the Ancient town of Kings Lynn is just under 40 miles to the West. 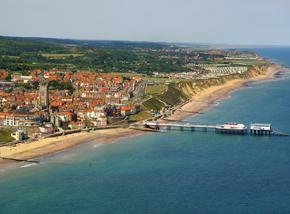 In other words, its a great base for exploring the attractions of Nofolk and the coast. Aylsham has been an important hub for this area for millenia. Aylsham’s recorded history goes back to pre Norman times. It is thought the name comes from a homestead set up in about 500 AD by Aegel – Aegel’s ham. In the Domesday Book it is known as Elesham. From 1372 John of Gaunt (son of Edward III) was Lord of the manor, and the town enjoyed privileges from such a royal connection. In fact I believe that is him on the horse on the town sign. The town thrived on the production of linen and wool cloth (Worstead, named after a nearby village). As indeed did the city of Norwich which by then had a population of 10,000. The Queens 90th birthday bash in the market square. The line goes straight to Wroxham – the ‘Capital’ of the Norfolk Broads, and also has a foot and cycle path. Very interesting Hall and lovely grounds too. Also a great community spirit. Aylsham is proud to be one of the few Towns in the UK with Cittaslow (literally ‘slow city’) status. This is a movement established in Italy. All to do with quality of life, distinct identity, and community. A way to preserve local food production, arts and crafts and their link with the community. Aylsham has long been a plastic bag free zone, and promotes slow, good food. Aylsham is blessed with a good selection of independent shops. We have two award winning Butchers. A local family runs the greengrocers – selling their own produce. Several independent clothes shops, a music shop, picture shop, proper sweet and chocolate shops, lovely indoor accessories, I could go on. Oh and of course an astronomy equipment shop. 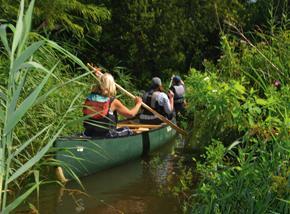 There are endless opportunities to walk off the excess calories from all the Slow Food. 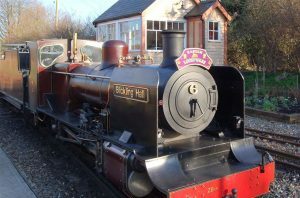 Plenty of local walks from our doorstep, or further afield the coast path offers endless days out with the help of the fabulous Coasthopper bus service. We are lucky enough to have two long distance trails going through Aylsham; the Marriott’s Way and the Weavers’ Way. 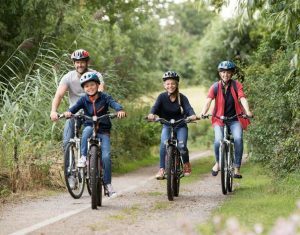 There are loads of safe places to cycle. Quiet Lanes and plenty of off road trails. And yes, there are some hills, but not steep ones! This area of Norfolk is flat, but not that flat. 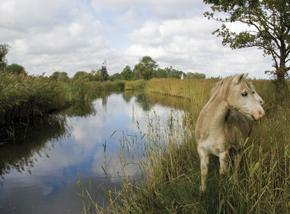 That’s the Fen lands – different altogether. So, Janet and Tim look forward to welcoming you to their Windmill and this, peaceful and not too well known part of the county.